Your best bet for accommodation within the area is San Pedro Beach Resort. Bungalows are 900 PHP per night. They have a restaurant serving reasonably priced local dishes. The resort is only a 5-minute leisurely walk from the shop. 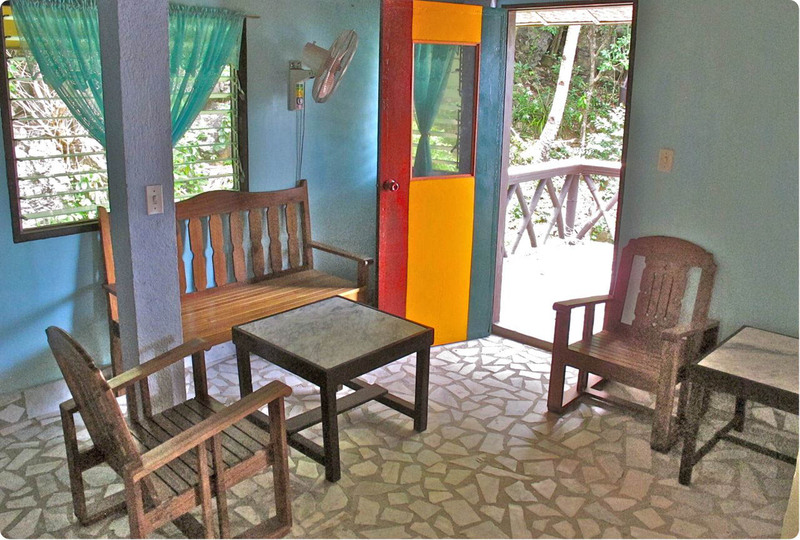 Marble Beach also offers basic bungalows by the water with built-in small kitchen and bathroom at 900 PHP per night. There is no restaurant in Marble Beach. Accommodation booking is managed by the property owner. Totoy’s Place, 8 minutes away by walk inland, offers decent budget accommodation for 350 PHP per night. The place serves cooked-to-order local dishes.